Today I’m grateful for: good books and a love of reading. I’m not even ashamed to specify that I’m especially grateful for teenage sci-fi literature. Because I really love that stuff. Seriously. I read Twilight and Hunger Games like it’s my job. I have sort of a manic personality, and it really makes “getting caught up” in a good book difficult. Because once I start reading, I seriously can’t put it down (and, of course, both of these series are complete, so you have to finish the series to actually “finish” the book). And while I can’t put the book down, nothing else in my life gets done. But, let’s set all that aside. Because, really, is there anything better than getting lost in a great series? Even if you’re reading it while the dishes pile up and your family starves to death? And you could actually feel good about feeding your starving family these cupcakes– the protein in the bananas and peanut butter practically make these a meal. Beat together the peanut butter, bananas, and the sugar until creamy. Mix in the vegetable oil, eggs, buttermilk, and baking soda. Gradually mix in the flour until batter is formed. Line 2 muffin tins (for 24 total cupcakes) and place an unwrapped Reese's Cup in the bottom of each cup. 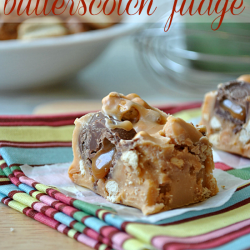 Pour 1/4 cup of batter over each Reese's Cup. Bake at 350º for 20-23 minutes or until a toothpick inserted comes out clean. Meanwhile, whisk together in a stand mixer the peanut butter and the butter. Gradually whisk in the powdered sugar, one cup at a time. Whisk in the cocoa. Add the vanilla and the milk in between the powdered sugar to help keep the consistency smooth (only adding as much milk as needed for desired consistency, don't add it all at once). Pipe or spread the frosting over top of the cupcakes. The peanut butter banana cupcake portion of this recipe came from Crazy For Crust’s Fluffernutter Nutella Banana Bread (which I’ve made twice, by the way. It’s amazing). « Previous PostSweet Treats and Swanky Stuff Saturday & a Belated Birthday Bash! 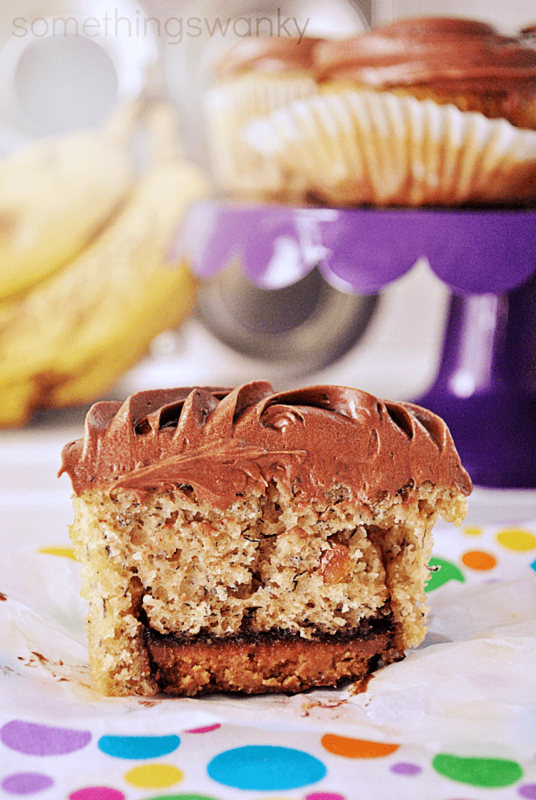 peanut butter, chocolate, and banana – a trifecta winning the way to my heart. You simply CANNOT go wrong with the three Ashton! and I am IN LOVE with the hiding reese’s cup stuffed inside! the BEST kind of surprise if you ask me! Once I saw that peanut butter cup inside I was sold! OMG I just saw the last movie and I’m SO sad! I get like that with series too. I think my child watched more TV during my reading of the Twilight series than in her whole 4 years prior. I’m glad you liked the bread, and I’m VERY glad you turned it into these cupcakes. MAN they look GOOD! I am with you on the good book series! I am reading Park Avenue 666 series right now! Plus I watch it on TV also! Love it and I love these cupcakes! Between you and Dorothy and Hayley I am getting fat just reading these posts! Love them all! I have a series for you to read. It’s by Terry Goodkind and the series is called Sword of Truth. The first book is Wizard’s First Rule. It’s wonderful! This series made me love scifi/fantasy. Two things I love, bananas combined with peanut butter and chocolate and a good book series. Maybe in that order. And now, after reading this post, I just want to stuff my face with both. For hours. Pinning! Banana and peanut butter is one of my favorite combinations! 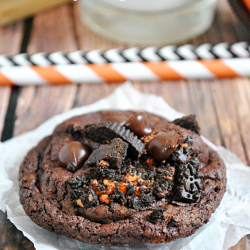 Love the Reese’s pb cup on the bottom! Whoa now. Banana and pb and chocolate? Can I move in with you? This looks amazing. 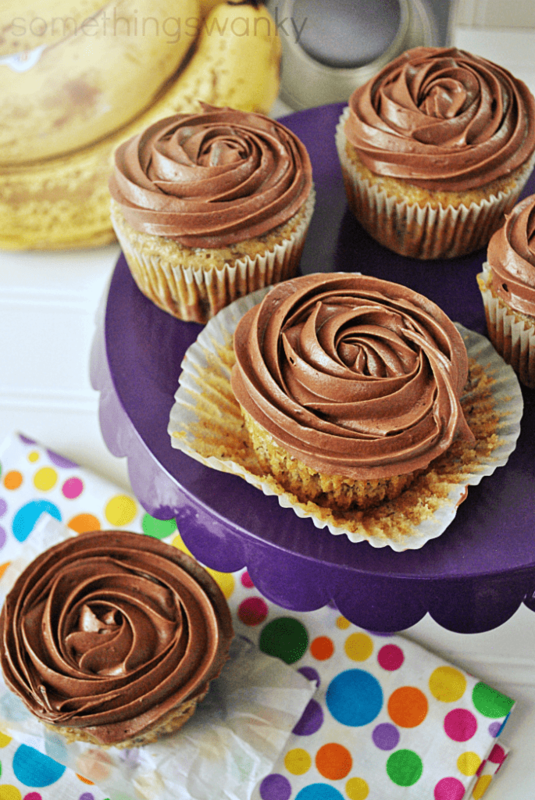 Those cupcakes–hubba hubba. I won’t start books until I know I’m not going to busy for the next few days because I have the same problem! HOW did I miss this post? First, I am the same way with books. Is it ridiculous that I actually try to make dinner WHILE reading fiction books?? And second? The Reese’s cup in the bottom of this cupcake? Genius! Why is your frosting chocolatey-lookin if you only used peanut butter? Did you add some cocoa to the frosting mix?